Would you like some extra Disney cash this holiday season? Why not take a break from your Cyber Monday shopping and head on over to see my friends at Mouskejournals and enter the $50 Disney Gift Card giveaway! While you're there you can catch up on all the latest Disney articles and get your Disney fix. The contest runs from now and ends Sunday, December 2, 2012. The winner will be selected by Rafflecopter on Monday, December 3rd. Entering is easy! As a way of thanking everyone for helping get Mouskejournals off to a fabulous start they have generously included a whole list of Disney bloggers as entries. There are also daily entries to earn even more chances to win! 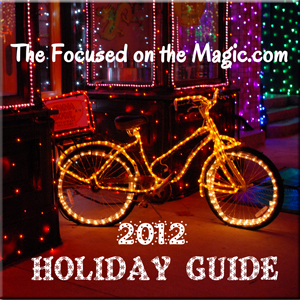 Be sure to check out all the giveaways on our 2012 Holiday Gift Guide Page. I love Mousekejournals! Wish I could win! Mousekejournals is a great 'one stop shop' for finding many great Disney-related articles all in one place! Some great blogs post on that site - so many great articles! I love reading @Mouskejournals too and oh how I could spend that #Disney gift card! It really is Terri. I find the most interesting Disney articles on Mouskejournals.com. 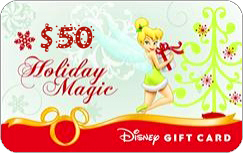 Giving away a $50 Disney Gift card is such nice way for Mousekejournals to say thank you. It is great site filled with interesting Disney articles. So generous of @Mouskejournals to offer it! Good Luck Amy!! Great giveaway! Sending you some Disney love! www.amandabellestarr.com!